The Offa's Dyke Path, on the Wales–England border, is fine walking territory. 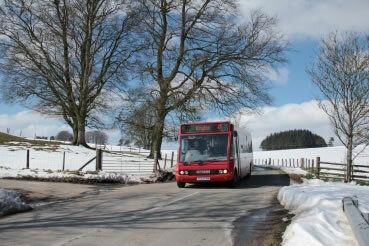 And thanks to the Offa Hoppa buses, it's easy to get around car-free. Several of their bus walks can be found on our website and their is more information about walking in the region on their own website. Planning your winter walking trip? 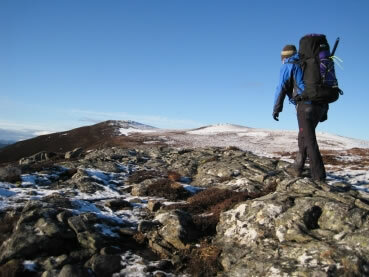 Read about Gary’s hike in the Cairngorms for some inspiration. Our October to December prize draw is a chance to win a Mountain Bothies Association calendars, with great photos of bothies in Scotland, Wales and England. To enter, submit a walk before the end of December 2013. Congratulations to the winners of the Aqua3 personalised maps in our summer prize draw. The next newsletter will be out in January. Please send us any news and until then, happy walking!